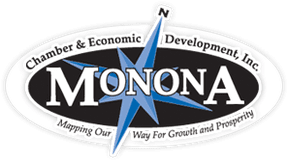 Monona, the Garden City, reflects the best of small town living. Enjoy a new aquatic center, two beautiful parks, & a unique Butterfly Garden & Prairie Trail. The Monona Historical Museum boasts the world's largest display of hand-carved chains, among other treasures. Fishing, hunting, snowmobiling, & hiking are enjoyed by locals & visitors alike.